MK: Hello! This is Michele Knotz! Voice actress Extraordinaire! Actually I am most notably known as the voice of Jesse in Pokémon. OR: Very nice, thank you for coming out and talking with me. So let me start off with a question that one of our contributors has: You’ve said previously that you really started to get into anime in high school and college. What series are your favorites and what are you currently watching if anything? MK: I don’t know where to start! Currently what comes to mind and what I really loved and I just finished was Erased. I don’t know if you saw Erased or not, but it was really really good. It reminded me of the Butterfly Effect. I thought Erased was just really well written and it was the perfect length too. I didn’t want it to end but it was so good. I love the story, I love the length, I love the music. Just everything about it was really, really good. I love shows that keep you on the edge of your seat, and I just kept wanting to watch more and more and more. It’s funny, I grew up watching Voltron and Speed Racer and things like that and I did not know as a kid that it was from another country and later on in college I was like “WHOA THIS IS ANIME!? WAIT THIS IS FROM JAPAN? !” I didn’t even know and you know, back then the internet wasn’t as prominent as it is now so we couldn’t get our information as easily as we can today. So the first real anime I knew when I picked it out was Battle Angel. It’s a short 2 OVA episodes but I thought it was really good, so I had to go find the manga because the show unfortunately didn’t go as far as the manga. The manga is actually really long and the story is so great but yea unfortunately they did not continue the anime and then I started to watch Yu Yu Hakusho and Inuyasha and Bleach and Naruto. I just started to get into the crazy ones like Evangelion, Gundam and Full Metal Alchemist. So Yea, I have watched a lot. OR: Really cool. So of the shows that you watched, was there a s series in particular that made you realize that you wanted to get into voice acting? Like you want to be a part of this? MK: I don’t know if it was actually a series. I started in college and a little after college to go to conventions. The voice actor panels is what I really wanted to go to the most. I started off as a theater major then I switched to radio and television broadcasting and I was working in news and I hated it. So I started to go to cons in college and I went to the voice actor panels and thought: “This is really cool” and then, what happened was the Big Apple Anime Fest in 2003 that I went to had this contest and I’m like: “Let me just try it, why not? Just for fun”. 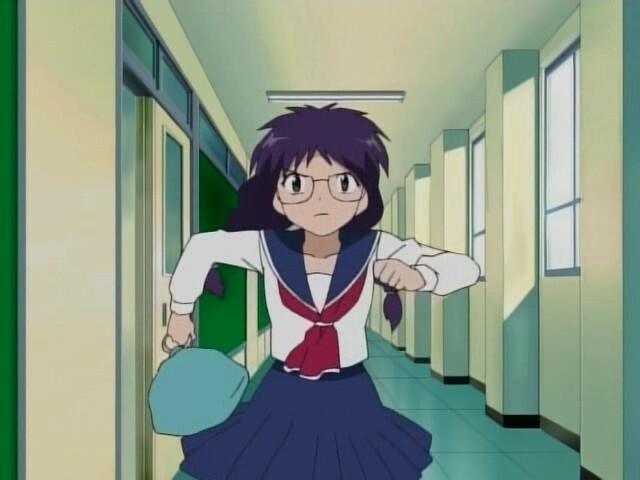 And that’s how I got my first role as Hajime Yagi in The World of Narue, which was crazy. And I asked the director and my cast mates “How do you do this? This is what I want to do for a living”. So they explained to me how to make a demo and that’s basically your resume and I got a vocal coach and it just kind of branched out from there. OR: And “branched out” it did! I mean, you’ve done so many different roles and great roles too! It’s good stuff! Because you’ve played so many roles, that brings me to my next question. So you’ve played multiple voice roles in the Pokémon anime series since you came on board in season 9 including May, Jesse even the Pokédex itself, Nurse Joy and Snivy. How is it playing multiple roles that are often in interaction with each other at the same time? Was there any difficulty in keeping the character straight? How did you approach each role that would occur simultaneously? MK: Well if you’re playing multiple roles in a show, what the directors like to do is record one character at a time, not multiple characters at once. So let’s say Jesse. So we will go to the beginning and record all of Jesse through that episode. Usually they just record one or two episodes a week anyways. There are so many characters in that show that it’s Monday through Friday when the studio is open so they have to call in all the actors for that show in one week. So it’s usually one or two episodes for that week, not really any more than that. Then we will go back and record another character and another character. With Pokémon specifically we usually save the “creatures,” we call them the creatures, for last because sometimes for me (Dustox and Cacnea) they can be a little grating on the throat and the voice even if you do everything properly. If there is going to be a lot of one specific Pokémon that is grating on the voice, it will affect you eventually. So we generally save that for last. That’s how we kinda keep the voice of the character and personalities in our head, because we are just working on one at a time. It would be kind of crazy to be doing multiple at the same time. OR: I can only imagine… And that actually brings me to another point and something I kind of wondered. When you are doing all these other characters have you ever felt like a character’s personality is “leaking” into another one? MK: Fortunately, I guess I’ve never had that problem! OR: That’s a good thing for sure!! MK: I mean, you try to keep in your head as much as possible the different personalities and the voice and all the characteristics, which I know sounds crazy and difficult, but it’s immersing yourself in the character and letting it flow through you. But fortunately, I’ve never *knock on wood* haven’t really had too much trouble with characters bleeding over into another personality. OR: So something else, I have always wondered. In Super Smash Bros Brawl you played Pokemon Trainer and when I first played it I was reminded of Ash when I first heard his voice. I almost thought it was Ash but then I realized that no, there is something slightly off. It sounds like him, but it’s not quite Ash. MK: A lot of people thought it was Red and they just called him the Pokemon Trainer. They don’t really call himRed but a lot of people say its Red. I don’t really think it’s Red. 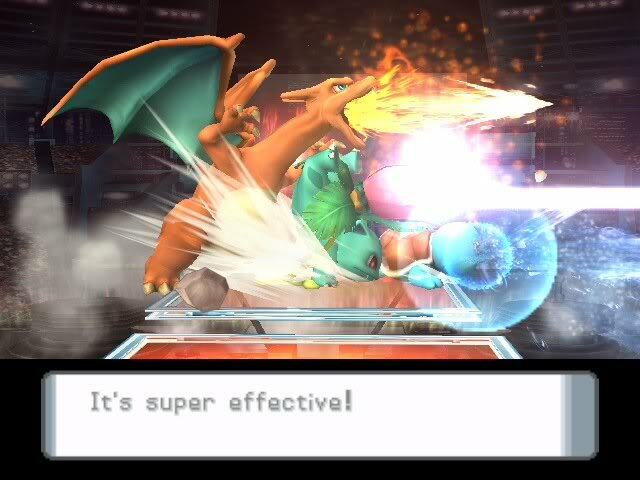 It’s just a completely different boy that has Pokémon that’s in Smash Brothers. I auditioned for it, they wanted a boy voice and that was one of the first boy voices that I’ve done which was pretty cool. They auditioned a bunch of people and they wanted me to play it so that was pretty cool. OR: If Nintendo started adding voice acting to future Pokémon Games like the mainline ones, do you think that having a voiced protagonist would add or detract from the experience? MK: You know, in Final Fantasy X, when I finally heard voices in a Final Fantasy game, I was blown away! I really think voices do add a lot especially if you have the right emotion, the right inflection, you know, the whole package. A lot of [Pokémon] games have computer sounds and they’ve had computer sounds for the longest time. But in at least the Poképark and Poképark 2 games they do have a lot of voices in which I got to play Piplup and Snivy and everything. That added a lot to it! I think it’s a lot more fun and interactive for the kids that play the game. When I heard Final Fantasy X, I was blown away and I was like “They sound great, this is amazing, it’s like they are actually talking”. Because in all the other Final Fantasy games it was just text on a screen; they weren’t talking. But yea I think it would be really cool and awesome. It would add to it but we will see in the future. OR: Now this is a different game. I know we have been focusing on Pokémon but I’m a really big fan of this series so I have to ask this. 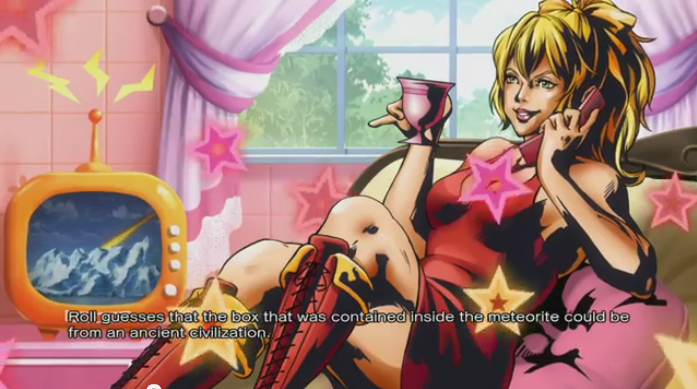 So you voiced Roll in Street Fighter x Tekken and Roll was portrayed in a rather “different” manner than usual. It also doesn’t help that the classic version of Roll was only ever voiced in English once in Mega Man 8. [NOTE: During the interview I forgot about Powered Up] So did you have any difficulty performing her lines, considering you did not have too much context to work with? MK: Right. Roll is a non-playable character and she just talks to Mega Man. I really thought it was funny that they used the Mega Man from the boxart from the original. So he is just this 40-year old guy with a huge gut. I thought it was hilarious! I loved it. Chris Cayson did the voice of Mega Man in Street Fighter x Tekken and I thought *imitating him* “Be serious Roll! This came from outer space!” He just made it so hilarious. It was so funny. Every time I run into him at a convention I compliment him. I love Chris Cayson, he’s awesome and amazing! It was so funny because they told me “We would like you to voice Roll”. And it was funny because they said “What’s that adult-like Jesse voice that you do for Pokemon? We really like that. We think its funny!” I didn’t get to see a picture of her until later. they just told me that she is just going to be more mature and older, she is not going to be a little kid. You know, Roll is depicted a lot as a younger kid in the Mega Man games and show. So we went over the lines a few times to see what would fit and work with Chris’ Mega Man. I thought it was funny and when I finally saw the end sketches of her, I said “THAT’S what Roll looks like. Okay!” It was really funny and awesome at the same time. OR: To add on to tha,t and this is just a shot in the dark, would you be opposed to playing Roll in a future game? MK: Oh that would be awesome. She’s awesome. When you see Mega Man you just expect Roll to be somewhere in the shadows. So that would be really cool. OR: GREAT. Well thank you very much for speaking with me! You definitely provided some great insight in the wondrous world of voice acting. Thank you so much for doing this! 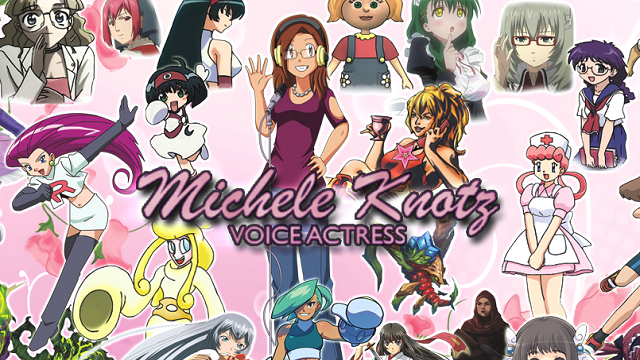 Check out Michele Knotz on her site right here!